The IVVA has noted a number of reports in the media recently regarding damage to property that were allegedly caused by electronic cigarette batteries. It is worth noting that in incidences where an investigation by fire officers is reported on, the use of incorrect chargers for the specific model of vaping device or leaving the battery to overcharge has frequently been the cause. In some cases, the cause can be attributed to sub standard quality batteries where quality control has not been applied in the manufacturing process. IVVA members strongly believe in the safety of vaping products. Therefore our members adhere to a strict guideline on advising customers on correct battery safety for their device. Like all lithium ion batteries, such as those in laptops, mobile phones and tablets, the correct discharging, charging and storage of batteries ensures consumer safety. Provided instructions should always be strictly adhered to. If none have been provided, contact your IVVA vendor for advice. In the case of smaller and ‘ego style’ batteries, only the corresponding charger with the correct amp rating for the battery should be used. Batteries should never be left unattended while charging, and should never ever be left on charge overnight. Always unplug the charger and remove the battery immediately after the battery has reached full charge. 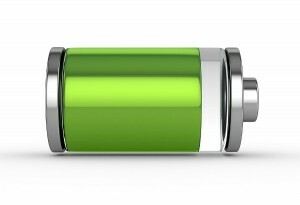 Batteries should never be placed on soft furnishings or carpets while charging. Charging bags are available that encase the charger and battery during re-charging and provide additional safety. In the case of larger ‘3rd generation’ batteries, only high quality chargers with an automatic charging cut off should be used. Batteries should never be discharged below 3.2 Volts or overcharged above 4.25 Volts. If the battery is being used in a ‘mechanical’ device, only the correct atomiser resistance should be used for the amp rating of the particular battery. An understanding of Ohm’s law is necessary to safely set up a ‘rebuildable’ atomiser. IVVA members recommend these products are only used by experienced consumers who fully understand battery safety thresholds. Batteries should always be stored safely, in plastic battery containers where the contacts cannot touch each other. Never allow the contacts of batteries to come in to contact with metal keys or coins etc. This can lead to short circuits occurring and cause the battery gases to vent.